When Emily’s dad brings home the dead body of a girl from her school he is arrested and admits to believing he killed her. But Emily is sure he is not the killer, despite what the police think and the Post Traumatic Stress Disorder he suffers from that makes it likely he could be the one responsible. Damon, the dead girls boyfriend, woke up the morning of the discovery to find he couldn’t remember anything of the night before, but he must have walked Ashlee to the path home like he always did, and thats when Emily’s dad struck, right? Both desperate to know what really happened they seek each other out, but with both of them believing different things can this help or hinder their search for the truth? If you are a regular reader of my blog you will know that a few short weeks ago I read Stolen by Lucy Christopher, and loved it. Following that I was desperate to read The Killing Woods, Lucy’s newest book, and see if it lived up to its predecessor… thankfully I have not been disappointed and The Killing Woods was quite possibly even better than readers favourite Stolen. The story was incredible. Right from the start I though that it can’t have been Emily’s dad who killed Ashlee but the list of suspects was so narrow and I couldn’t think of who else it could be. As the search went on I began to think that maybe I was wrong and the police did have the right person, but then again it could have been this other person, or them, or even them… I was second guessing every character throughout the book and I loved where it took my imagination! I liked that there was obviously other things covered than the murder too, with the fall out of it – what happened to Emily and her Mum – the mental health aspects of the book and the take on drugs, alcohol and other highs that the book had. I was impressed that there appeared to be no specific message about drugs in the book so it didn’t seem preachy, yet also showed that they obviously weren’t a good idea. The characters were quite interesting for the most part but it was mainly Emily and Damon who were involved the whole way through and who you got to know. Obviously Mack, Ed Charlie and Joe were quite prominent as were Emily’s mum and dad but other than that the characters were minor and even some of the ones mentioned were minor. I really liked Damon and thought even though he seemed the most obvious suspect of Ashlee’s murder I thought there was a lot of page presence from him. Emily was a bit more hit and miss but I think that was because she was so obsessed with her fathers innocence that anything else faded away. 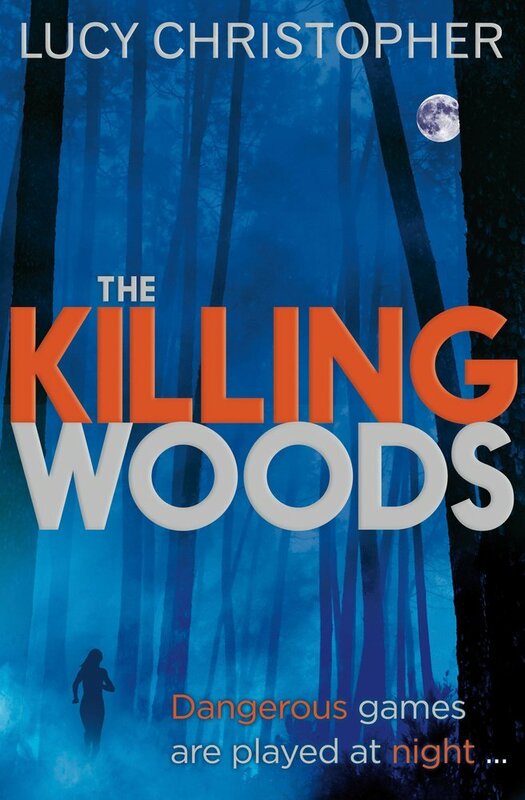 I thought The Killing Woods was a fantastic murder mystery teamed with some elements that you rarely see in young adult literature like the use of recreational drugs and PTSD, it was a unique story told in a great duel perspective which worked really well. I was impressed with Stolen and The Killing Woods has cemented the fact that Lucy Christopher is an author to watch out for, I hope for more from her in the not so distant future! The Killing Woods will be published on October 3rd by Chicken House. My copy was sent form the publisher in exchange for an honest review. I’m reading Stolen at the moment and it’s just amazing! I haven’t seen a single negative review for The Killing Woods, so I really must get hold of it. Lovely review! This sounds like a Beth book. Would you agree?